Flawless, smooth auto-mixing at the push of a button. 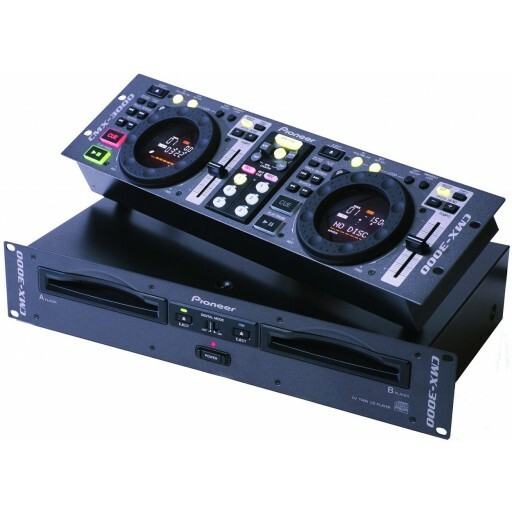 The CMX-3000 twin CD player guarantees an accessible way for professional and home DJs alike to express their creativity through an astonishing set of features. The Auto Mix Play function automatically mixes two tracks together – at the press of a button – while correcting tempos accordingly. This gives you more freedom to concentrate on other elements of the set. Or to party along with your friends while the deck does all the work for you. You can choose from four mix patterns (Cross-Fade, Cut, Echo en Zip) for seamless transitions. With the Adjustable Mix Time feature you can alter the time frame. The versatility of the CMX-3000 always guarantees the highest standards.